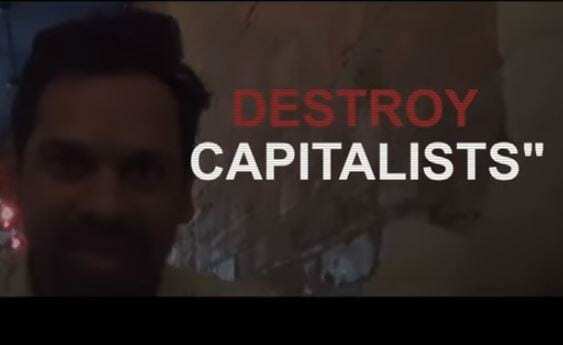 Socialists in our U.S. Govt offices: “We want to destroy capitalists.” Meet the Deep State! ProjectVeritas just released the 3rd video in a new series of undercover reports. The content will leave you shaking your head in disbelief. These people are sold out to their socialist cause. They put ideology above all else, including their employment. They’re double-agents working against us from the inside. They are the roots of the Deep State. To make a bad situation worse, you can hear several of them say in their own words, they try not to get caught, but it doesn’t really matter if they do because they can’t be fired. That’s right. They can’t be fired for failing to do their assigned work, for political activism on our dime, or for attempting to subvert our duly elected president. This MUST change! Thanks to ProjectVeritas for doing this important work. Looking forward to the next installment! Previous articleDeep State Unmasked: Employee says “Resist Everything”!